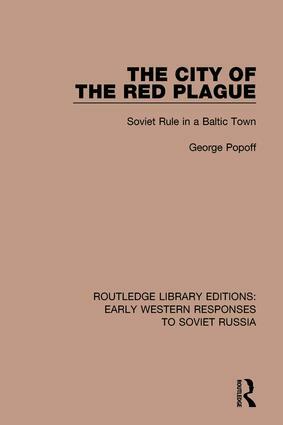 This book, originally published in English in 1932, covers the Soviet occupation of Latvia during 1919. The attempt of Moscow to set up a foreign Soviet State, extending to every sphere of public and private life is described in detail, with the aim of showing what the methods were which the soviet leaders used to carry through their system to other countries. The Latvian occupation showed what many people in Western Europe were unaware of at the time: namely that the main principle behind the Bolshevist system was brutal force.